A dark upper lip is a common cosmetic problem that many people, especially women, are concerned about. The darker color can appear on the skin above the upper lip or the upper lip itself. No matter what, it can be cause for embarrassment and concern. It can be due to medical or non-medical reasons. Some common medical reasons include hirsutism, where the darkening of your upper lip may actually be a darkening of the hair above your upper lip; melasma, also known as a “pregnancy mask,” usually occurring when a woman is pregnant or taking birth control pills; and hormonal changes that may trigger excess melanin production. Regardless of the underlying cause, you can easily lighten your upper lip with simple home remedies. However, bear in mind that you will not get results overnight. With regular application, home remedies will provide good results. Here are the top 10 ways to lighten a dark upper lip. You can use lemon juice to naturally lighten a dark upper lip. The citric acid in lemon juice is a natural bleaching agent. Also, it helps exfoliate your skin and slough off dead skin cells. Squeeze a lemon and apply the juice on your lips. Massage gently for 1 minute. Leave it on overnight, and rinse it off using lukewarm water the next morning. Pat your lips dry and apply a lip balm. Use this simple remedy daily for 1 to 2 months. 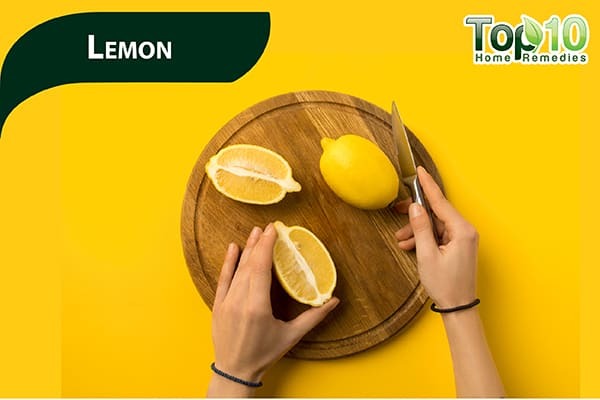 Alternatively, you can prepare a mixture of ½ teaspoon each of lemon juice, glycerin and honey. Apply it on your lips before going to bed. Do this daily until you see positive results. 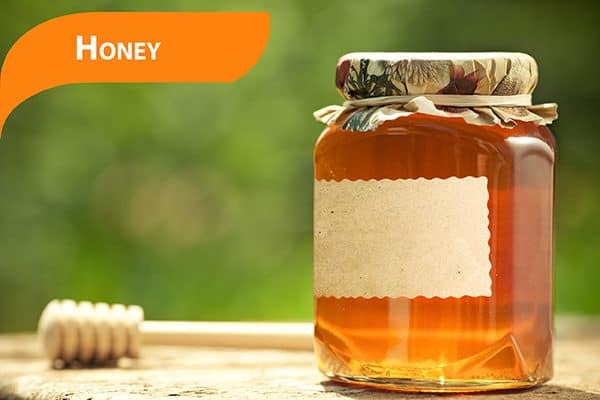 If your upper lip has darkened due to non-medical reasons or age, then honey is the best remedy to try. Being a natural moisturizing ingredient, honey helps soften your lips and even restore their natural pink color. Apply honey on your lips before going to bed and leave it on overnight. In the morning, wash it off with lukewarm water. Do this daily. Alternatively, mix together ½ teaspoon of honey and 1 teaspoon of rose water. Apply it on the upper lip area. Allow it to dry for 20 minutes before washing it off with lukewarm water. Use this remedy once daily. Another option is to mix equal amounts of honey and tomato juice and apply it to the darkened area. Allow it to sit for 20 to 30 minutes, then rinse it off using lukewarm water. Do it once daily. Exfoliation is one the best ways to lighten a dark upper lip. It helps by sloughing off the upper layer of dark pigmented skin. This in turn reveals newer, lighter skin underneath. When it comes to exfoliation, once or twice a week is enough. More than that can worsen your lips and cause redness, irritation or soreness. To exfoliate your lips, a sugar and olive oil scrub is the best. Mix ½ teaspoon of granulated sugar and enough olive oil to make a paste. You can even add a little honey to the paste. Gently rub the paste on your lips and the surrounding area for a minute, using circular motions to remove any flaky or dead skin. Leave it on for 10 minutes, then rinse it off using lukewarm water. Pat your lips dry, then apply a lip balm to keep them hydrated and properly moisturized. Massaging the darker skin can help a lot to restore the natural color of your lip. 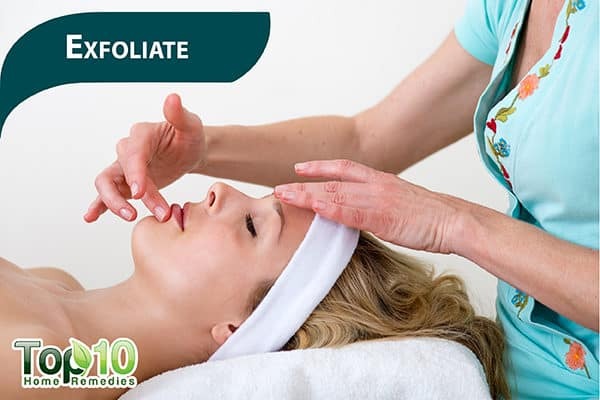 This helps by removing dirt from under the surface and boosting blood circulation. Use a soft-bristle toothbrush to gently massage your damp upper lip area. After 5 to 10 minutes, rinse your lips with lukewarm water. Do this once daily. Another option is to rub a little natural oil (such as almond or coconut oil) into your lips, using your index fingers to gently massage them with small circular motions. Do this once or twice a day. You can rinse off the oil after 30 minutes. Alternatively, you can take an ice cube and massage it gently into the lips for a few seconds. The cold ice will bring blood to the surface, leaving your lips looking red and full. 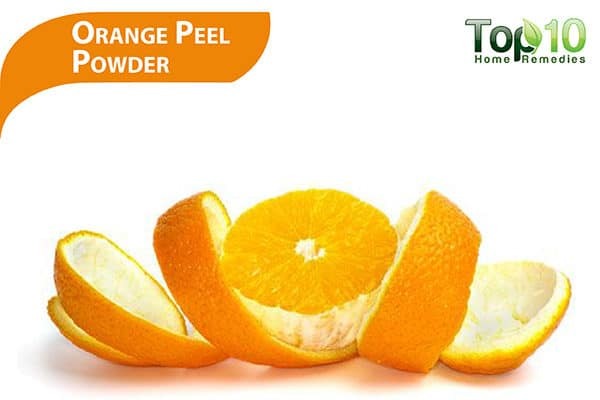 A natural skin-whitening agent, orange peel powder is highly effective in lightening a dark upper lip. It is also a great source of vitamin C, which increases the collagen production and also protects the lips from the sun’s ultraviolet (UV) rays. Dry some orange peels in the sun for a few days. Grind the dried peels into a fine powder. Mix ½ teaspoon of orange peel powder with 1 teaspoon of plain yogurt. Smear the paste all over your upper lip area and let it sit for 10 minutes. Using wet fingers, scrub off the paste. Rinse off the residue with lukewarm water. Use this remedy 3 or 4 times a week for effective results. To keep your lips pink and soft, you need to keep them hydrated from the outside as well as from within. As the outside environment has a dehydrating effect on your lips, you must take special care to keep them hydrated. Use a lip balm containing cocoa butter or shea butter to keep your lips soft and moisturized. You can also massage your lips gently for a few seconds with a little coconut oil. As lips tend to lose moisture faster than other areas of the body, use a moisturizing lip balm several times a day. To keep your lips hydrated from within, drink 8 to 10 glasses of water a day. However, everyone has different requirements for water, so consult your doctor to find out how much you need to drink based upon your health and fitness level. Besides drinking water, eat fresh vegetables and fruits that are rich in water content, such as oranges, kiwi, watermelon, apples, cantaloupe and watery veggies like celery, tomatoes, cucumbers, zucchini and carrots. Also, eat foods rich in vitamins A and C. While vitamin A helps maintain and repair the skin tissue, vitamin C increases the collagen production. Vitamin C also protects the lips from the sun’s UV rays. Packed with skin-hydrating components, glycerin can effectively improve the appearance and texture of a dark upper lip. It works as a humectant as well as emollient agent, which together keeps your lips feeling soft, smooth and well-hydrated. It can also help get rid of dead skin, so that you can enjoy healthy, pink lips. 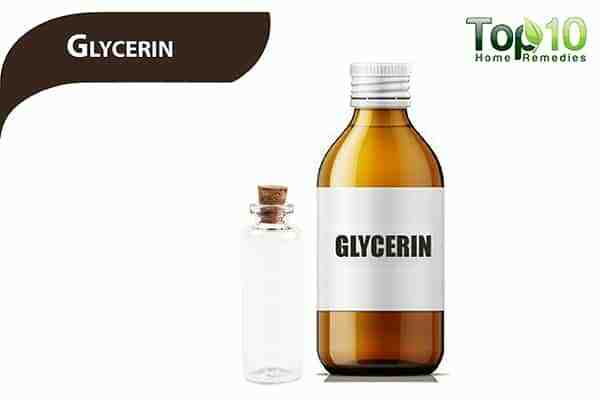 Apply glycerin on the dark lip and massage gently using your fingers. Do this daily before going to bed. The next morning, rinse it off using lukewarm water. Another option is to mix glycerin and rose water in equal amounts. Apply this mixture on your lips a few times a day to enjoy soft and pink lips. The beautiful roses in your garden can help add a natural pink tint to your dark upper lip. 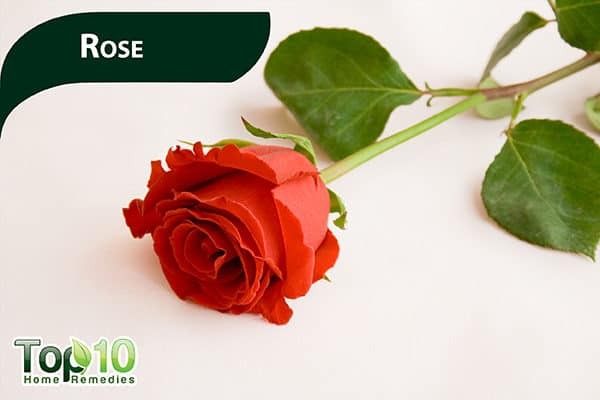 The soothing, cooling and moisturizing properties of roses will also keep them soft and feeling fresh. Both the petals and rose water can be used. Soak a few rose petals in a little raw milk for 1 hour, then grind the mixture to make a paste. Add ½ teaspoon of honey and a pinch of saffron to it. Apply the paste on the dark lip and leave it on for 15 minutes. Rinse it off using tepid water. Do this once daily. Another option is to mix 3 tablespoons of rose water with 1 tablespoon of glycerin and store it in a spray bottle. Apply this mix once a day to naturally lighten the dark upper lip. People who smoke a lot tend to have darker lips than those who do not smoke. 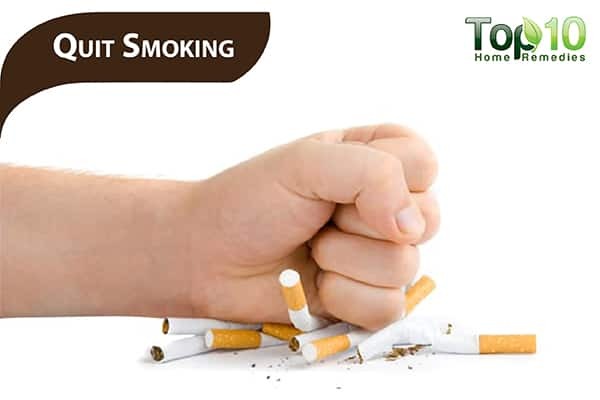 Smoking has a dehydrating effect on your skin, which can lead to cracked as well as darker lips. Once you inhale cigarette smoke, the nicotine and tar transfers to the lips, which causes darker lips. Nicotine also takes iron out of your body, which may cause skin discoloration including on the lips. At the same time, excessive smoking can cause the tender skin of the lips to burn, leaving a dark stain on your lips. So, if you want your lips to be pink, it’s time to say no to smoking. Seek help of experts as well as support from friends and family members in your mission to quit smoking. To get rid of a dark upper lip, you must try to avoid licking your lips, a common habit that many people have thinking it keeps the lips moisturized. 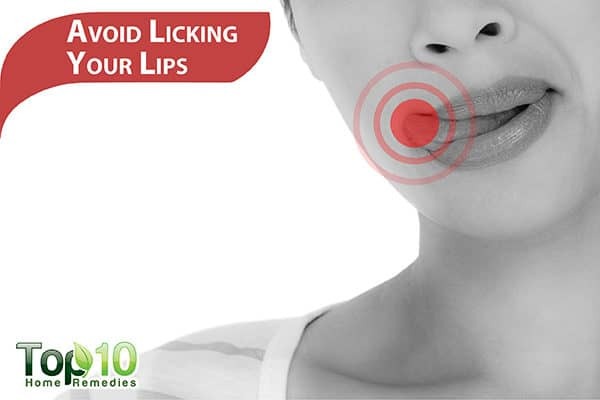 Licking is one of the bad habits that can be very damaging to your lips. The saliva from your mouth can dry out your lips. To avoid licking your lips, always keep lip balm handy. Whenever your lips feel dry, just apply it. You can also try chewing gum or sucking on a hard piece of candy to stop licking your lips. Along with licking, avoid biting or peeling the skin of your lips. The lips can even begin to bleed from biting or peeling. Apply a good quality sunscreen of SPF 30 or above before going out in the sun to help prevent darkening of your lips and skin. Wax instead of shaving your upper lip, if your dark shadows are the result of stubble. In the morning when you brush your teeth, rub your lips gently with a soft-bristled toothbrush. It will help remove dry skin from the lips and make them look fresh and soft. Before going to bed, wash your lips thoroughly with lukewarm water. Pat them dry with a soft cloth, then immediately apply a lip balm. Coffee has a mild diuretic effect, so instead of drinking coffee, drink an herbal tea. Herbal teas are hydrating and also beneficial for your overall health. Your dermatologist may prescribe hydroquinone cream, which effectively bleaches the skin so the shadow is less noticeable. If the dark shadow on your upper lip is due to pregnancy-induced melasma, it will likely go away in a few months following the birth of your baby, without any special treatment or prescriptions. If the dark upper lip is hormone-related, you can discuss hormone replacement therapy with your doctor. If you use lipstick every day, choose those with moisturizing ingredients. Be choosy about your lipsticks or lip balm and make sure there are no harsh chemicals in them.